This entry was posted in Random, Uncategorized and tagged dinner, empty_nest, meals. Bookmark the permalink. Well done, Stormy. True confession – I find myself giving food that MAY be questionable to my husband while thinking to myself that I wouldn’t take that risk with anyone else! 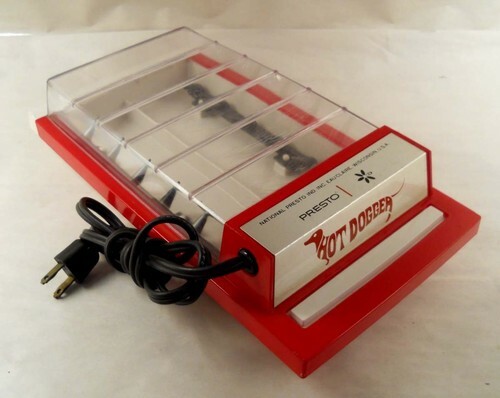 If I could just get my hands on a Hot Dogger today! – Man I would be set! Nothing like eating six (that’s 6) electrocuted nitrogen sticks – only to be chased down with a whole box of pistachio pudding and a hot-air-popper batch of popcorn with 1 stick of butter and a half container of grated Parmesan cheese tossed in with it… Mmmm – those were the days! Oh yeah, don’t forget the half gallon of milk! – Another blissful encounter was the faux dog… What? How could you possibly come-up with a fake or “mock” version of something that is made from ground-up lips, beaks and a$$holes? It’s easy when in a pinch… Just roll up a slice or two of bologna (c’mon, is it really THAT different?) and if the bakery Gods are smiling, there will be a nice fluffy bun to put this rolled-up delicacy in. If not – enter the stack of white bread:) – No shame, no pride, no looking back – just go for it! The catch to truly enjoying the Faux Dog is to eat it cold – with ketchup. …oops gotta go… a great tune just came on the Bone Fone!